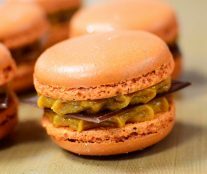 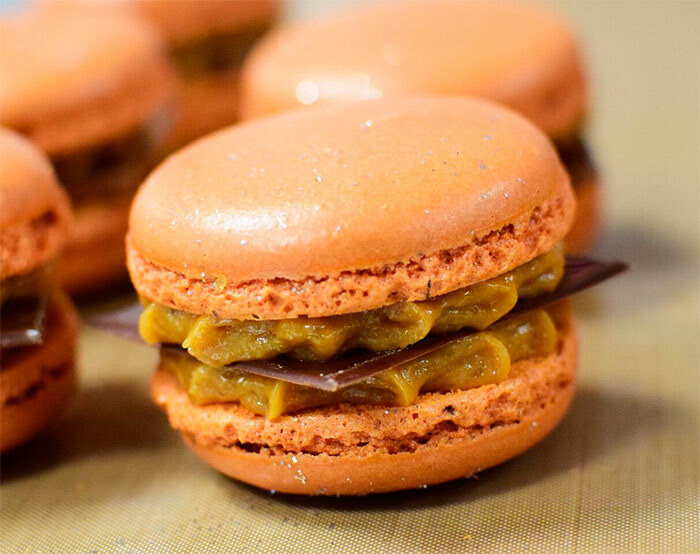 Marie-Joëlle Chiesa, the contestant from Val d’Isère and trained by Patrick Chevallot, has won the Concours Macaron Amateur International 2018 with «Le Mac’O noix», a macaron with slightly roasted nuts from the Dauphiné region, fleur de sel caramel, and a thin sheet of chocolate. 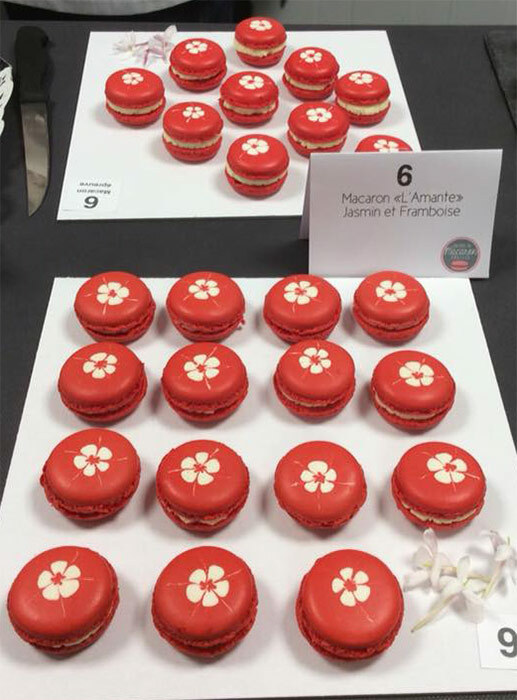 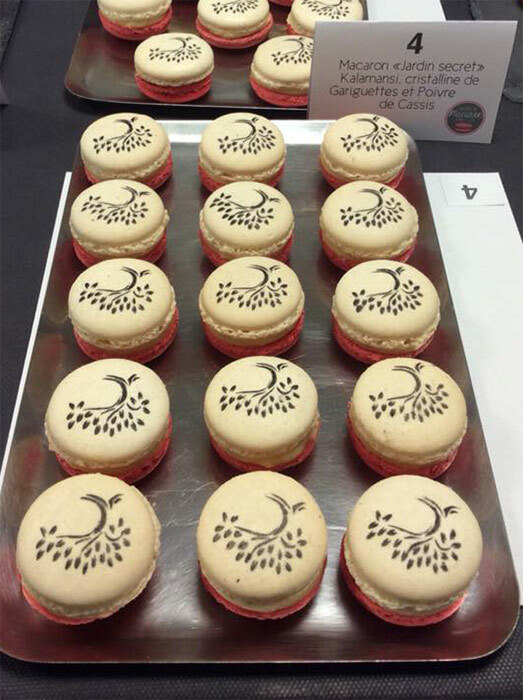 Second place went to Marie-Noelle Radigon, the contestant from Nice, with her macaron “L’Amante”, made of jasmine and raspberry, and third went to Caroline Demierre (Saint-Gervais) with “Jardin secret”, a macaron made from Kalamansi, crystalline gariguettes, and black pepper. 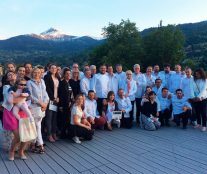 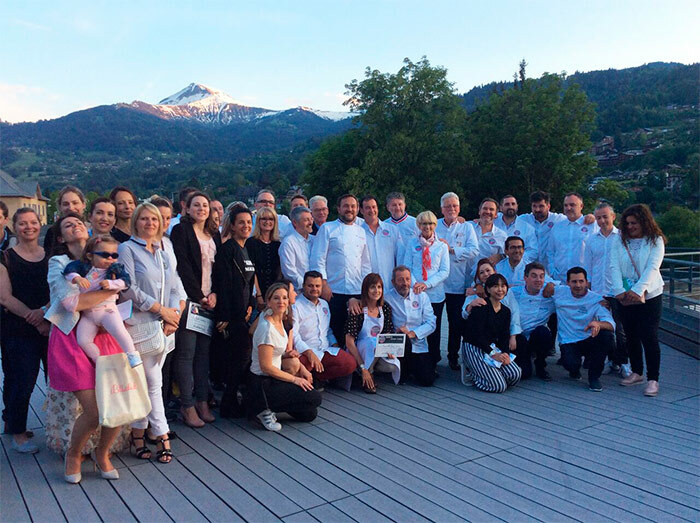 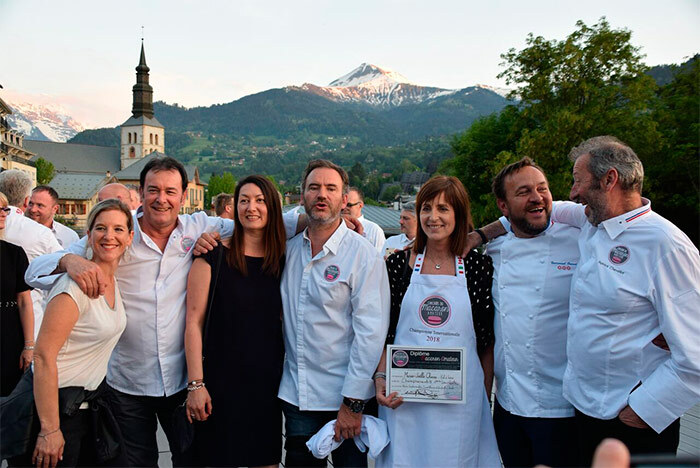 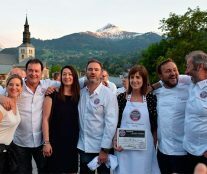 On May 19, the 17 finalists, chosen from 340 candidates from five countries, met in Saint-Gervais. 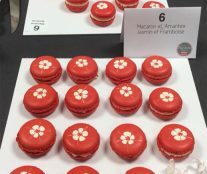 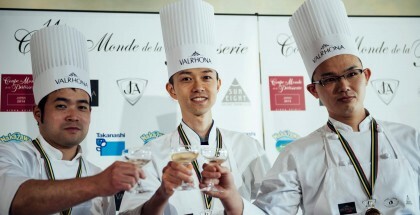 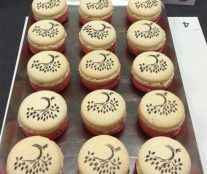 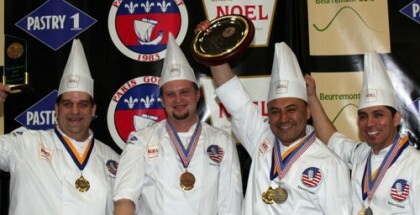 They had three hours to present the recipe for their macaron, which must be different from the one presented during the regional semi-finals. 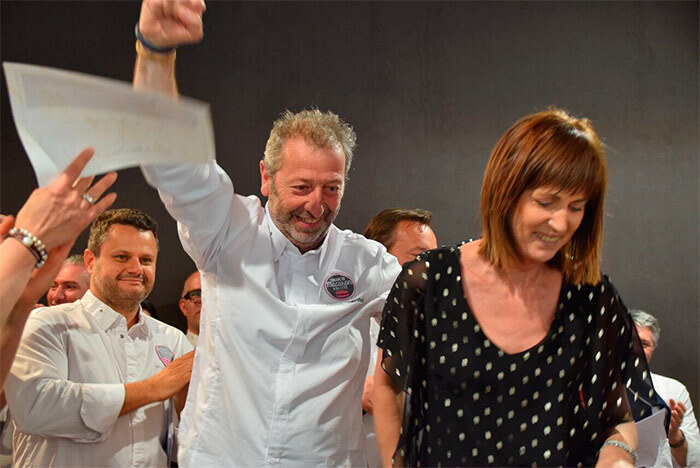 The jury, made up of great names in French pastry such as Emmanuel Renaut, Mercotte and Philippe Rigollot (so good #4, so good #14), had to assess the appearance, regularity, texture, flavor, and originality of the recipe.